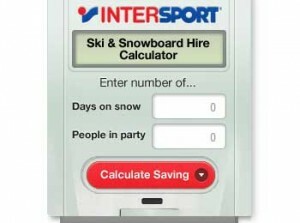 Intersport provided figures for the average ski hire package price across the winter season. By linking this figure to a live currency conversion rate we were able to give the ski hire calculator real-time prices with every calculation. It then compares these figures with the cost of taking a ski or snowboard bag to France on the plane to show the users how much they could save.